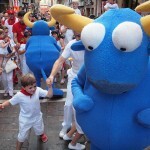 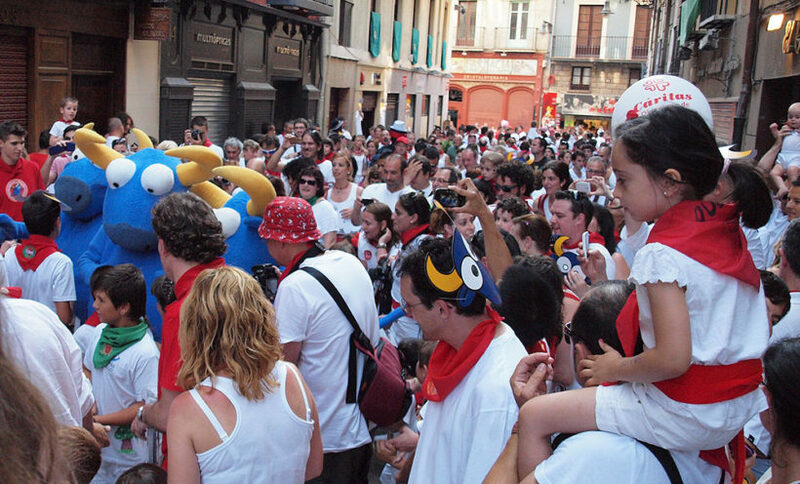 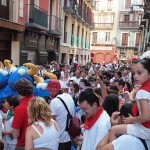 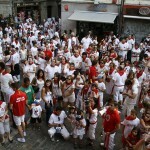 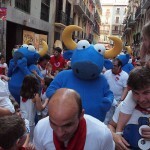 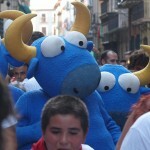 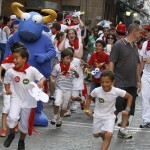 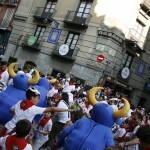 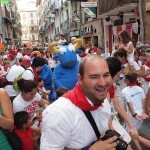 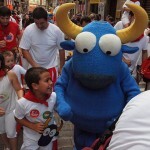 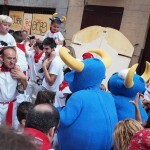 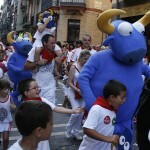 Today, the third consecutive kiddies running of the bulls took place with the Kukuxumusu blue bulls. 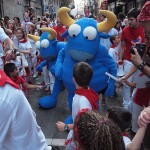 Mister Testis and his bullmates left the “pens” located at the Kukuxumusu-Sanfermin.com store in Mercaderes Street and and they covered the course along with the kiddies and their parents to up as far as the Kukuxumusu store in Estafeta Street. 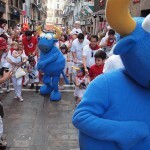 There were no mishaps nor any gorings, but the kiddies had a great time of it and they really enjoyed emulating the adults.